Today, The James Bond Encyclopedia was published in the UK by Dorling Kindersley Publishers. 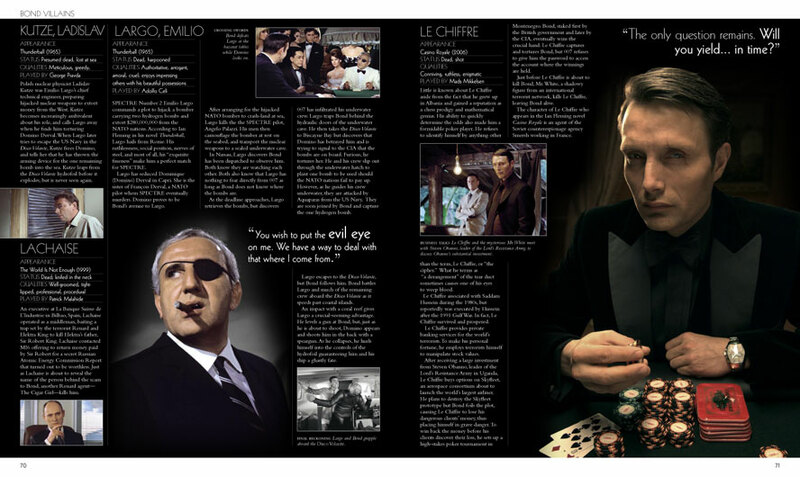 The James Bond Encyclopedia covers all current 21 official films by EON Productions and will focus on everything in front of the camera rather than the behind the scenes aspects. The book is organized by “The Role of Bond”, Bond girls, Bond villains, etc and then alphabetized. Americans thankfully do not have much of a wait. The book goes on sale in the United States on October 15th. You can currently pre-order the American edition at Amazon.com or order the UK edition at Amazon.co.uk.